We’ve got a few Castaways-isms, phrases we throw around when we’re talking band business. Two are most common. There’s “It’s bigger than a hat shop,” which refers to the tiny space at Goorin Brothers Hats in Seattle’s University District where we played a show in Spring 2012. When we’re describing new stages, we’ll say things like, “Oh, it’s about the size of a hat shop,” for a small space and “It’s way bigger than a hat shop” for a big stage. We were there, we know what we mean. But we are actually very familiar with that expression, you see, we get it all the time. Someone will hear us playing, look at what we’re playing, and… there it is. They’re trying to do the math. That guy is sitting on a box but it sounds like a full drum kit. The rest of those people — wait, those are ALL ukuleles, even the bass? That song is… no way, they are not doing Twisted Sister. That is not Ozzy Osbourne. That’s totally a Madonna song, what the hell? Sometimes they’ll walk right up in front of us, stare at Pete’s cajon, scan the ukuleles, and shake their heads. Then they’ll stand at the back of the room, gawking, while we finish out our set. And the whole time, plastered on their faces… it’s miniature horses all over again. “We play ukulele music, it’s not what you think” expresses very accurately what we do, but we wonder if we’re struggling with a marketing problem, if we are, perhaps missing out on gigs because people associate the ukulele with a very specific style of music. And that style is not nitro fueled rock and roll. They read our tag line, they see our pictures, and they go right back to thinking that we’ll be an acoustic act that’s kind of mellow, in short, they do not expect us to rock. We’re just pushing the uke, and you know what? The uke kind of loves it. We certainly do. And we love to see that look of amazement in the crowd, it makes us happy. But we’re not sure how to break preconceptions about the ukulele. We are a ukulele band. We are also a rock band. You could dress us all in flip flops and aloha shirts and we’d still be a rock band. The uke, even with its booming popularity, is still underestimated. 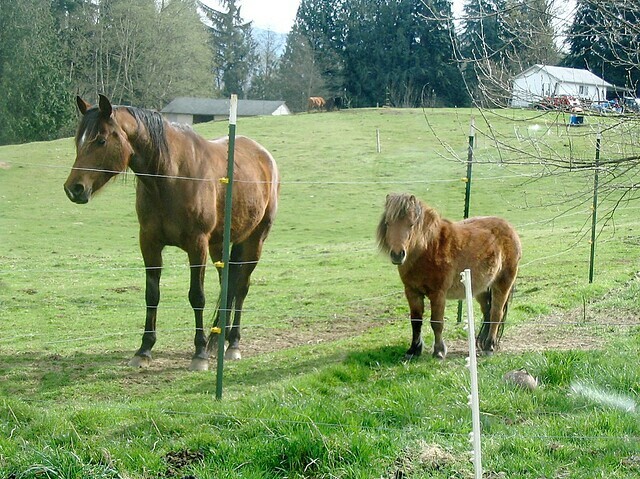 It’s miniature horses all over again.